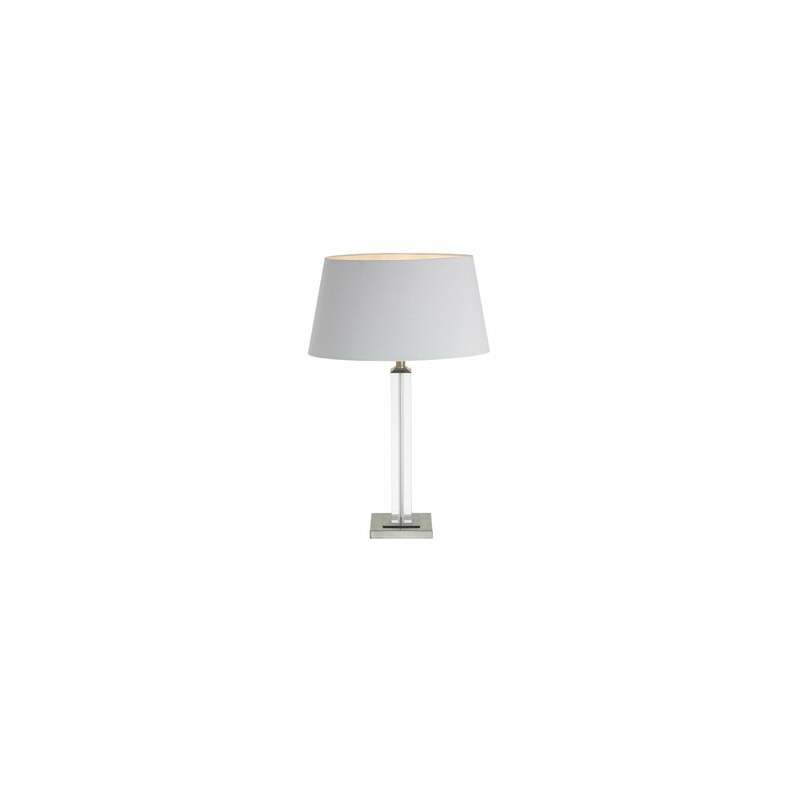 Contemporary accents mix with classic style in the Branna table lamp from RV Astley. The narrow crystal column extends from a solid antique inspired base to reveal a complementing luxury shade. The beauty of this Branna crystal table lamp is its unrivalled versatility. Style with a circular drum shade for a traditional classic look. For a modern inspired scheme, style the crystal base with a rectangular shade. The reflection of light across the base shimmers against the neutral shade, style in any interior for a perfect lighting solution.